The Center for Sustainable Change is a non-profit whose mission is to establish and support a collaborative world-wide network of individuals and groups who are introducing the understanding of Mind, Consciousness and Thought via locally-led community change initiatives. Since 2015, I’m on the Board of Directors of the Center, which has been quite the journey, I must say. I am the only non-American on the board at the moment, but I also believe I am the person with the least amount of experience into the world of US non-profit’s (and yes, the two are most definitely linked in my mind). Anyway, it’s time for the annual fundraiser and Terri Alamo, the new CEO formerly known to me and many others as one of the magic elf’s of Michael Neill, asked if I wanted to play Top Dog, where whoever raises the most funds for the Center will be awarded the designation of TOP DOG. I said yes, and immediately realized I have an optimal team-name, as I truly feel like an Underdog in this contest! So, Team Underdog it is, and hey – I’d like to challenge you to help me – the underdog – become top dog! It’s simple and you can help me win this very prestigious award, support a good cause and have a bit of fun in the process in multiple ways. The first one is to donate which can be done here: https://centerforsustainablechange.org/donate. Be sure to put TEAM UNDERDOG in the comment box. I’d also be very happy if you’d help me share the message that the annual fundraiser is in full swing, and that all donations made before December 15th when the contest ends will be matched by a generous board member so even the smallest amount will make a difference, and every little bit counts a long way! 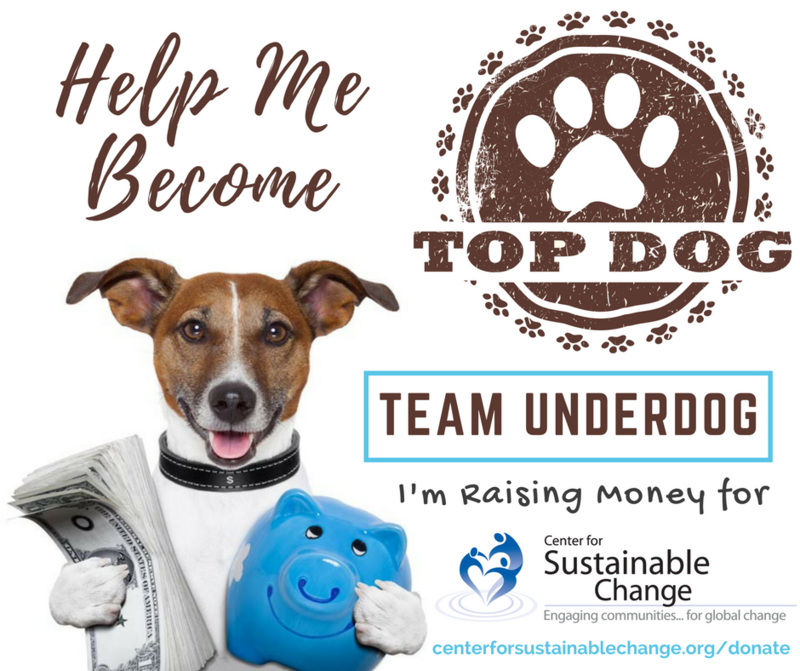 So please, help this underdog-Swede become TOP DOG in the Center for Sustainable Change Annual Fundraiser. Visit https://centerforsustainablechange.org/donate and make a donation. Put TEAM UNDERDOG in the comment box.